What do Paul Bunyan, Charles Lindbergh, and Jesse Ventura have in common--Minnesota, of course! In A Popular History of Minnesota, historian Norman K. Risjord offers a grand tour of the state's remarkable history, taking readers through the centuries and into the lives of those colorful characters who populate Minnesota's past. This highly readable volume details everything from the glacial formation of the land to the arrival of the Dakota and the Ojibwe people, from Minnesota's contributions to the Northern cause during the Civil War to the key players in reform politics who helped sculpt the identity of the state today. A Popular History of Minnesota highlights the historical significance of Minnesota's natural resources--the bountiful north woods, the treasured iron ranges, the impressive Mississippi waterfall on which the Mill City was built. It details the powerful marks left on the state by such luminous figures as Oliver H. Kelley, founder of the national Grange movement, Hubert H. Humphrey, champion of civil rights, and Betty Crocker, aid to homemakers everywhere. Lively sidebars outline noteworthy subjects, from the Kensington runestone to the devastating forest fires of the 1890s and 1910s, from the rise of the Mayo Clinic to the preservation of the Boundary Waters Canoe Area Wilderness. Handy Traveler's Guides highlight historic destinations for readers who enjoy seeing where history happened. Fast-paced and informative, with generous illustrations, A Popular History of Minnesota is a must-read for newcomers and established Minnesotans alike. Outstanding! 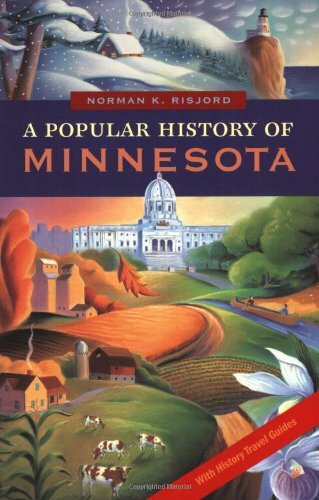 I reviewed several histories of Minnesota, and I came to the conclusion that this book is the best general history of Minnesota for most readers. It's very readable, concise, and enjoyable storytelling. The most important and most interesting Minnesota stories are told well. The basics of American history are also woven into the story, so this is the story of Minnesota's journey within the context of American history. A useful map with the most important and interesting historical sites to visit is included as a helpful guide. Useful lists by category of important things you can see are also included throughout the book as the story unfolds. Other history books, unfortunately, are ruined by boring academic facts and poor story-telling, but not this book. 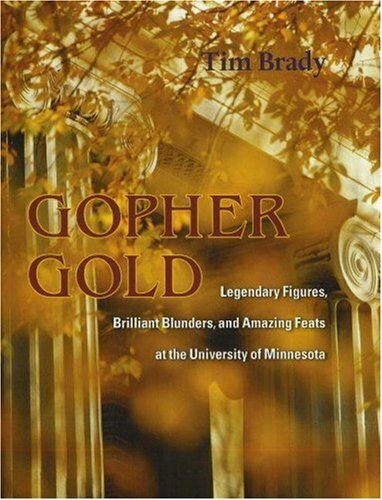 I recommend this book for a quick and enjoyable read on Minnesota. Highest recommendation. "Norman Risjord recounts Minnesota's past with the studied approach of an accomplished historian and the engaging style of a crowd-pleasing storyteller. If only all state histories were this enjoyable to read." "'A Popular History of Minnesota' captures in one volume the thing that makes the state unique. It is, and always has been, a playground. But not as we've been led to believe. We learn here that Minnesota was not only the field of play for Dakota and Ojibwe, but for J.P. Morgan and John D. Rockefeller. It is a vast and fascinating history. Norman K. Risjord has found a way to put it in a finely written, single book." Great to be able to get an out of print book at a good price and prompt turn around.Product exactly as described.Thank you! Who knew a canoe trip could be so interesting? This book is an account of Olson's canoe journey down long stretches of the Churchill and Sturgeon Weir rivers in Saskatchewan.Olson was a leading popularizer of the notion of wilderness, associated with the North Country of Minnesota and Canada. The story of someone else's canoe journey risks being mind-numbingly boring: "we paddled, portaged falls, and then paddled some more. 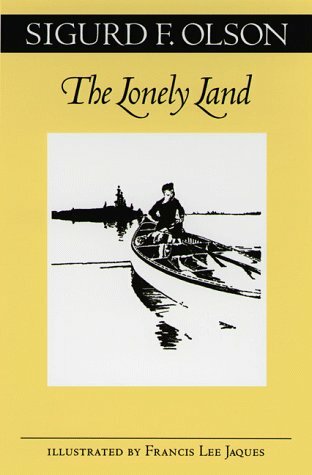 "Olson's story isn't any different than that basic narrative, but he manages to make the journey more lyrical.Observations about the empty land they traverse, the comraderie of the company of six, reminiscences of the voyageurs of old, and occasional encounters with other people leaven the basic narrative. It's a great read, and I literally didn't put it down (I was stuck on a transatlantic flight, but even so).Heartily recommended. I first obtained this book in my youth through the old Outdoor Life Book Club (which also introduced me to other classics such as John J. Rowlands' Cache Lake Country). I'm not sure I read The Lonely Land all the way throughat that first encounter, but I recently rediscovered it when cleaning out a family home. I picked it up out of nostalgia, but I soon found that I couldn't put it down. Apart from the inherent interest of its subject matter -- the majestic wilderness of central Canada's Churchill River drainage -- I was quickly taken by the immediacy of Olson's account. The wind, the waves, the thunder of approaching rapids all spill off the page in vivid detail, as do the detailed descriptions of each night's camp and its routines. As compelling is the exuberance of Olson and his five companions as they explore pristine lakes, shoot the Churchill's wild water, and find refuge time and again on the solid, reassuring outcrops of the Canadian Shield. Finally, at each stage of the journey, Olson quotes from the journals of those who came before him, the "bourgeois" who led the brigades of voyageurs into the heart of the Lonely Land in search of furs. Men like Alexander MacKenzie, George Simpson, and David Thompson, who worked for the Hudson's bay Company or its competitors: the record of their observations informs Olson's account with vivid descriptions of the land as well as a sense both of how much and how little had changed over the one hundred and fifty years since they had last paddled, poled, and lined their way up the same great river system. I know that Olson has many well-regarded books to his credit, but a new reader could do worse than enter this world of woods and water by way of The Lonely Land. It's a great book. I haven't paddled the Churchhill River yet, but rivers closeby, and you still find the wilderness and the loneliness that Sig Olson describes. After reading this book and others by Sig Olson I just want to go out paddling and enjoy the wilderness. A celebration of the everyday lives of Minnesotans through the centuries–those who paused here on their way to someplace else and those who made the state their home. This is a wonderful guide into Minnesota's past.Letters and articles accompany photos that bring you to places that you've been and acquaint you with it's character.Truly a terrific book for those that love the warmth and charm of the characters and life that make Minnesota home! A pleasant visit to the history of my home state. 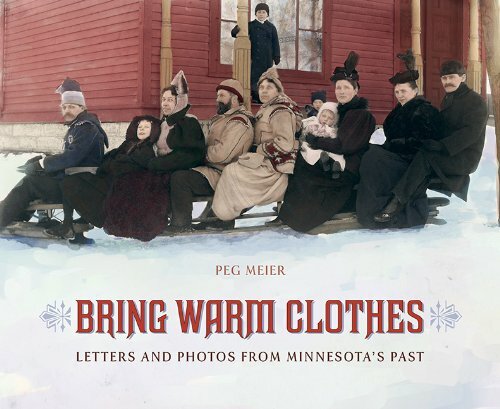 Bring Warm Clothes : Letters and Photos from Minnesota's Past was written by a former columnist for the Minnesota Star and Tribune,Peg Meier.It is a great treat, both as a peek into the past and as a well "written" work of history. The author includes pictures, diary entries, newspaper articles, letters, and government documents to create her biography of the state. The book is heavily illustrated.Among the visual works arepaintings of Minnesota from its exploration years, mostly by Seth Eastman and Karl Bodmer, which capture the rustic and wild character of a land yet untrammeled by the fences, industrial complexes and housing developments with which most of us are familiar. For those who like to see photographic reality, there are photos of Minnesota's early pre- and post-statehood years during the 19th Century and ofthe 20th Century up to World War II.The former include pictures of the Civil War in which the volunteers of the First Minnesota Regiment participated.In all some 25,000 men from the state fought in battles like Bull Run, Antietam, and Gettysburg, losing some 2,500 men, almost one out of every ten. Other photos show the old homes, city and town streets, early industry, sod homes, and family and other groups that bring to life a time past. Particularly enjoyable were the letters from the early settlement of Saint Paul and Minneapolis as presented in the merry correspondence of the Fuller family, and the witty press releases of Jane Grey Swisshelm in her paper the St Cloud Visiter, later the St. Cloud Democrat.The letters of Harriet Griswold reveal the fact that boom and bust economy is not new to our era, when her correspondence goes from exuberence and big plans in October of 1856 to bearly hanging on in September of 1858.The Civil War diaries of Sam Bloomer and Isaac Taylor and the World War I letters of Philip Longyear, an ambulance driver at the French front, bring those conflicts to a more vivid reality.The plight of the Native Americans and the fear and reactionism that the Indian Wars generated is also covered. The author has, wisely in my opinion, allowed the primary sources speak for themselves. She adds very little interpretive material of her own and then only to clarify where necessary or to provide follow up information. One of the principle points of note is the fact that most of these people had many of the same problems we have, and that they bring some of the same perspectives, same blind spots, and same sense of humor that we bring to our own daily lives. They lived one day at a time, facing an unknown future with the same uncertainty that we do.Some stories came out with a happy ending, some did not.It makes one wonder what some future writer of Minnesota history will say and think of our own times. An excellent collection of diaries and letters from Minnesota territory days thru early in her statehood. Accompanied by many great photo's depicting the times.A great fireplace companion! 5. Minnesota in 3D: A Look Back in Time: With Built-in Stereoscope Viewer - Your Glasses to the Past! 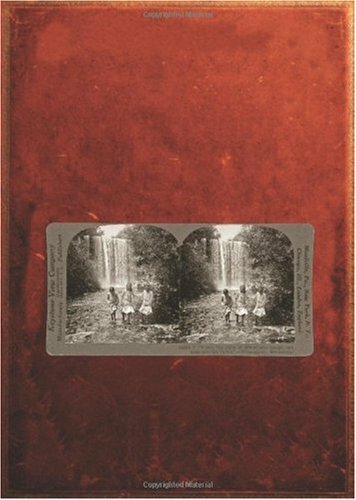 Our Stereoscope books will look like a long-forgotten photo album discovered in Grandma’s attic, which opens up to display a lost world come to life through 3-D photography. Each book will include a brief, colorful history of stereoscope photography, which started in the 1850s offering people their first photographic views of the world and remained popular until the Great Depression of the 1930s. This was the television or internet of the time, and millions of viewers and photos were sold by traveling door-to-door salesmen. 45 images will be reproduced, along with their reverse side including a detailed historical caption on the subject. I really love this book. The viewer is built into the front cover, so you hold that up while you turn the pages. You have to relax your eyes and then all of a sudden they kick in and you are seeing wonderful 3D images of the past. I went through the whole book right away but I know it is one that I will be getting out every so often to see the pictures again. I also have the other 5 of these books and have enjoyed all of them. I highly recommend this book if you want to see wonderful 3D images. All of the books in this series are great. As a stereocard maker and enthusiast, I was excited about the release of these books. Good points: Excellent price! Excellent construction with the fold out viewer in the cover and excellent graphics giving it an 'antique' feel. Some very rare views are presented that would cost a fortune to purchase. The descriptions originally printed on the card's verso are reproduced here on the preceding page to each image so that they can be viewed and read all at once... And, did I mention the excellent price? Weak points: Some cards which already suffered from poor image quality are made 'grainy' by the halftone printing. A few of the images are not in 3D. A few images have the left and right images reversed. While the original cards may have been this way, the least they could have done was correct them or note the error in the descriptions. Still, these few and minor weaknesses do not detract from the overall quality of the books. Nothing can really describe seeing historical moments and people in 3D.These books should be in classrooms. I look forward to the next 2 releases in the series. A three-act play about Minnesota's statehood vividly depicts the competing interests of Natives, traders, and politicians who lived in the same territory but moved in different worlds. Oranges are the focal point of a chapter about railroads and transportation: how did a St. Paul family manage to celebrate their 1898 Christmas with fruit that grew no closer that 1,500 miles from their home? A photo essay brings to life three communities of the 1920s, seen through the lenses of local and itinerant photographers. The much-sought state fish helps to explain the new Minnesota, where pan-fried walleye and walleye quesadillas coexist on the same north woods menu. In Creating Minnesota Atkins invites readers to experience the texture of people's lives through the decades, offering a fascinating and unparalleled approach to the history of our state. Annette Atkins is a professor of history at St. John's University in Collegeville and the author of Harvest of Grief: Grasshopper Plagues and Public Assistance in Minnesota, 1873-1878 (MHS Press) and We Grew Up Together: Brothers and Sisters in Nineteenth-Century America. 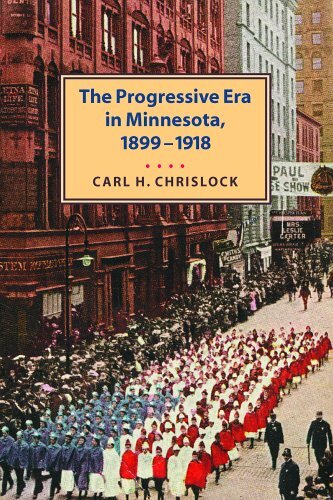 I have read many Minnesota history books from the seminal state histories by William E. Lass and Theodore C. Blegen to works recently published for the state's sesquicentennial. But nothing can equal the incite and creativity offered by Annette Atkins in Creating Minnesota. 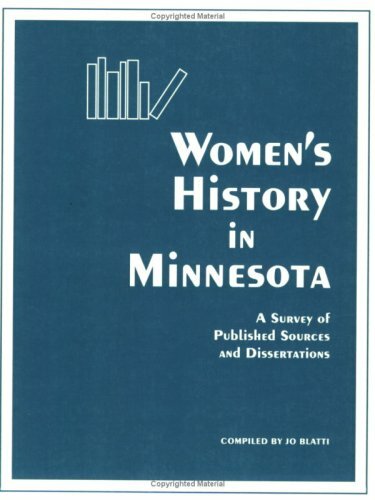 I first discovered Atkins's work in Minnesota, Real & Imagined: Essays on the State and Its Culture where she provided an essay entitled "Facing Minnesota" and so I was very excited to read her new book on Minnesota history. Atkins's approach is that of a seasoned historian who approaches her topic with sensitivity and intelligence. She is aware of her own limits as a historian and the ways her identification as a white, female, South Dakotan can affect her narrative. Furthermore, she does not shy away from the existential questions that any good historian must ask: Why do we study history? Who are we studying when we study history and how do we decide that they are the ones worth studying? How does our position in the narrative affect how we look at history? But Atkins is not all academic theorizing, however valuable such theorizing may be. Her writing is readable, smart, and often funny. She plays with format in this book by telling the story of Minnesota by turns in broad strokes, with specific case studies, and in the form of a one-act play (an experiment that sometimes works and sometimes doesn't). What is most striking about her work is the humanity that comes forth when reading her stories. Glancing over the section of pictures, I am struck by the faces of the individuals who once called Minnesota home. Their stories are the ones that Atkins strives to tell in one way or another and, in my opinion, she exceeds all expectations. I bought it for Christmas for my husband because it was on his list. He says he thinks that it is going to be "good", but he hasn't gotten into it much yet. Is an entertaining a read as it is informed and informative. 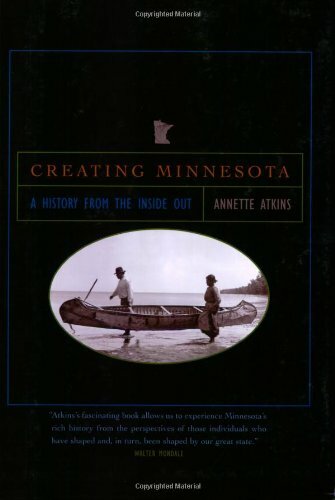 "Creating Minnesota: A History From The Inside Out" by Annette Atkins (Professor of History at Saint John's University and the College of Saint Benedict) is a superbly written history of how Minnesota evolved from a wilderness territory into a modern American state. 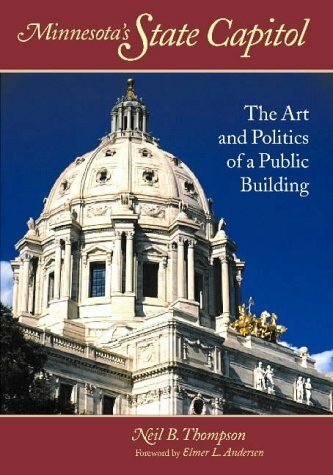 In a model of accessible scholarship, Professor Atkins lays out Minnesota's achievement of statehood amidst the competing interests of indigenous natives, traders, farmers, townsmen, and politicians. There are illustrative and fascinating stories such as the family in St. Paul who managed to celebrate Christmas in 1898 with fruit that originated some 1,500 miles from their home. Professor Atkins also includes a photo essay of Minnesota communities as recorded by the cameras of local and itinerant photographers; the role of the railroads; even such culinary traditions as pan-fried walleye and walleye quesadillas. Very strongly recommended for personal, school, and community library American History collections in general, and Minnesota History shelves in particular, "Creating Minnesota" is an entertaining a read as it is informed and informative. Lyrical essays on the land and the people. In 1865, the nation's largest iron ore deposits were discovered in northern Minnesota, and life in the area was irrevocably altered as an economic boom transformed the region. In the 1880s and 1890s, two railroads, the Duluth and Iron Range Rail Road and the Duluth, Missabe and Northern Railway (which later merged), moved massive shipments of ore to the docks on Lake Superior. The Missabe Road tells the complete story of the DM&IR: its construction, early operation, line extensions, passenger service, rolling stock, steam locomotives, and today's modern diesels. Frank King examines underground and open pit mining operations, modern-day taconite mining, the handling and transportation of ore to the docks, and the loading of boats. 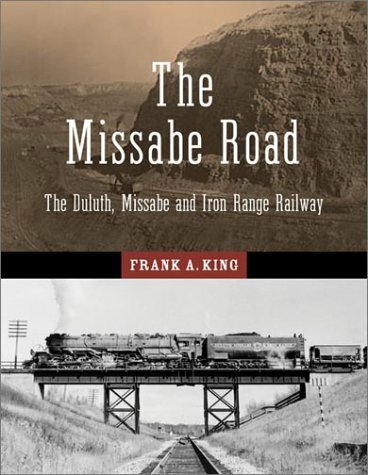 An author who knows his subject.Very accurate information of the planning, development, implementation of a very unique rail system to deliver raw iron ore from the mines to the loading dock where ships waited for cargo to fuel the steel demands of our growing United States. Frank is very frank about his candid writing.Great photos, drawings, of how the entire system was built over rough terrain and difficult weather elements. Again a must have for Great lakes shipping enthusist! Each year, more than ten thousand of the Midwest’s brightest take to the stage in cap and gown, armed with the knowledge, relationships, and lasting memories that could only come from an education at the University of Minnesota. Each of these graduates has been shaped by—and all have shaped—a rich collective history reaching back more than 150 years. In Gopher Gold, students, families, alumni, faculty, and staff are invited to experience their history firsthand through stories of the glorious moments and awe-inspiring missteps that have made the U of M.
First-year medical student Ruth Boynton, struck with influenza in the 1918 pandemic, is treated at the brand-new Student Health Service that would later bear her name. Fred Davies, a graduate in mining, discovers oil in Saudi Arabia, and global politics is forever changed. President Folwell, defending the front gates of his home from a campus prank, is charged with assault and battery when a student is shot. An underdog football team wages a rousing battle to beat the famous Red Grange and the Illini in the inaugural game at Memorial Stadium. Author Tim Brady delves into little-known corners of the university’s past to showcase the wealth of talent and ability that this landmark institution has and has given back to the world. Tim Brady is the author of The Great Dan Patch and the Remarkable Mr. Savage. He writes frequently for the History Channel Magazine, Minnesota Monthly, and MINNESOTA (the magazine of the University of Minnesota Alumni Association). "It's a blustery day, and I'm thumbing through Susan Miller's county fair photos, and suddenly–it's summer. The sun is baking my shoulders, and I'm eating my annual corn dog. I can smell French fries and hay, and I can hear kids squealing with delight as they're flung around on the Tilt-a-Whirl. Flipping through these pages, the best days of the season come back to me." Minnesota County FairsKids, Cows, Carnies, and Chow is a fun look at the county fairs throughout Minnesota in pictures that highlights the fun of the fair. Minnesota County Fairs Kids, Cows, Carnies, and Chow is a picture book with photographs by Susan Lambert Miller with a forward by Shannon Olson. The book highlights several years of the county fairs throughout Minnesota with a fun look at fairs from behind the camera. 4-H is a youth organization that stresses youth running the groups with adults backing them up and supporting them were needed. 4-H has a great history that has been going strong for over a hundred years with no real start point, just a sort of beginning with colleges discovering that youth were the future of farming. 4-H has been going strong with their foundation in universities across the county and led by dedicated adults and youth willing to devote their time and hearts to an idea that together they can make things happen in their own future. The 4-H Pledge exemplifies this standard of youth giving what they can so that the organization can help all that want or need the help in areas such as agriculture, business, science and technology. 4-H has been evolving along with current education to include computers, rocketry and digital photography to name a few of the newer project areas. 4-H is not only about agriculture or farming, they are now stressing modern science and technology as technology becomes a standard in today's society. The state fair is a culmination of the projects that youth work on throughout the year to show off their knowledge and expertise in areas they choose. Youth are encouraged to pick and work on projects they want and choose any area they wish to learn more about and at the fair they show off what they have learned. A project can be anything they would like such a display, an animal they have raised or a work of art that they have created and will show to judges and describe their project. The judges give ribbons according to not only the display or project but their knowledge and what they have learned so that the judging is more about what the youth have learned and less about a final project. The final projects are judged then displayed and shown for all to see at the county fair and the best of the projects in each area are chosen to go to the state fair. The county fairs are a great way to see what local kids have come up with for projects and the broad range of talent and skill they have. Minnesota County Fairs celebrates this talent at county fairs as well as the fun rides, great food on a stick in many cases and fun times shared with friends and family. 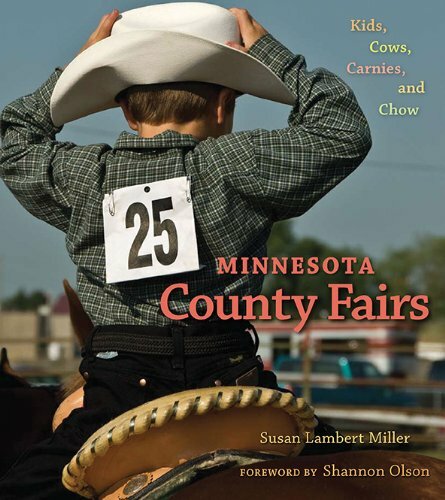 The picture book Minnesota County Fairs Kids, Cows Carnies, and Chow highlights these fun times in a 114 page book filled with great pictures showing the authors view of the fair. From kids showing off their prized pets to talent shows and even the fun food images abound of the fair from one end of Minnesota to the other. Susan Miller is a nationally recognized photographer that spent weekends going to numerous fairs to capture as many as she could in pictures for this book. Minnesota County Fairs is a great way to see a quick glimpse of those fairs and the great times people have along with the fun things that happen at fairs you may not be able to get to. 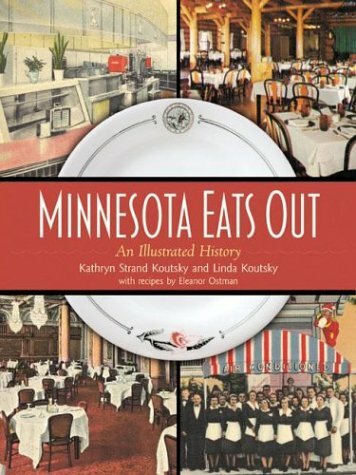 This is a wonderful book.As a former resident of MN, it was a great insight into the history of many of the establishments we visited when we lived in the Metro area. Plus the recipes that I have tried are very good. Wonderful--If Sad--Reminder of When Restaurants Actually Served FOOD! What a wonderful review of the restaurants I, as a child born in 1955 in Minneapolis, enjoyed with my parents! How I miss The Heidelburg (potato pancakes! ); Harry's (lunches with my mother and her friends in their crinoline slip-lined dresses, white gloves, and hats); The Nankin (the egg foo yung and chop suey combo plate with egg roll); The Lincoln Del (incomparable puffy omlettes); and so many other fantastic restaurants. I was even able to finally see what The Covered Wagon in Minneapolis looked like (my parents held their engagement party there in 1941). How sad that the younger generation will largely remember eating at (forgettable) chains. I'm not old enough to recognize all of the places featured here, but it is interesting to see all of the restaurants.Here you'll find everything from haute cuisine to roadside diners. A wonderful collection of memories that captures the spirit of eras gone by. 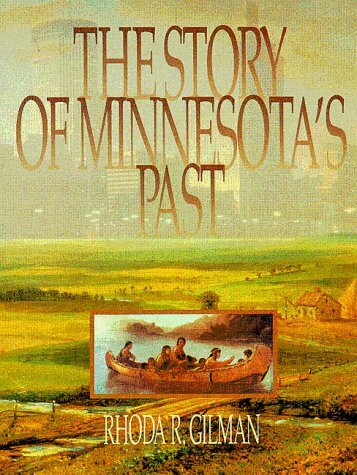 The Story of Minnesota's Past embraces the broad sweep ofchange over this land now called Minnesota from glacial ages to the1980s.This richly illustrated book was first published as a textbookfor Minnesota middle-school students.A paperback edition wasproduced to serve as a readable and authoritative history fornewcomers, old-timers, and all those in the general reading audiencewho want to know more about the state's past. A boardinghouse keeper finds her kitchen in a mess after Saturday-night revelry and refuses to cook on Sunday. An iron miner pries frozen ore from a car in 40-below temperatures. A grocer makes sausage, brews wine, and forages for mushrooms and dandelion greens. 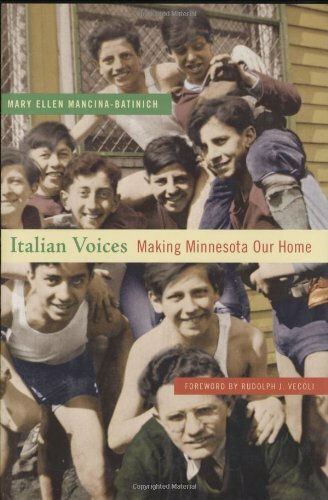 In Italian Voices, Minnesota’s Italian Americans share rich stories of everyday life in communities in the Iron Range, Duluth, and the Twin Cities between 1900 and 1960. Mary Ellen Mancina-Batinich, a native of the Iron Range, had unequaled access to the state’s immigrant generation during the twenty years she spent documenting the lives of these Minnesotans, in their own words. 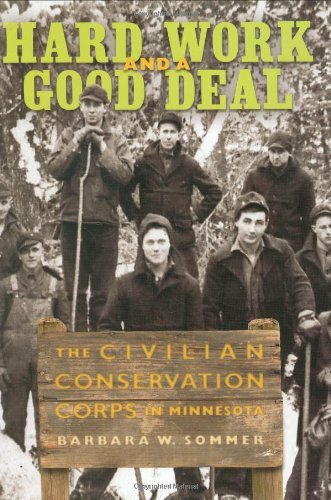 Hard Work and a Good Deal traces the history of the Civilian Conservation Corps, which supplied jobs to more than 77,000 Minnesotans during the Great Depression. Nearly one hundred interviews contribute to oral historian Barbara W. Sommer's lively narrative as the "boys" look back on their time in the CCC, during which many of them became men. African American enrollees tell of the segregated policies enforced in the army-run camps; workers for the CCC-Indian Division remember reservation projects that included rebuilding a fur trade-era stockade at Grand Portage. Together, these men give voice to early efforts that advanced the conservation of Minnesota's natural resources five decades in a few short years. 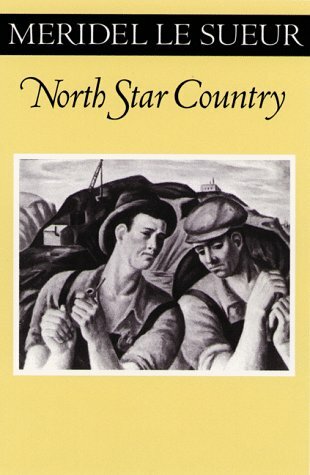 I enjoyed this book.It documents the CCC camps throughout Minnesota.It profiles men involved in the camps.Also, it was interesting learning about the projects the CCC sponsored.It is a great bit of Minnesota history.I bought the book for my mother, but enjoyed a read of it first. I enjoyed reading this book that described the CCC in terms of its operation within Minnesota.The camp summary in the Appendices allowed me to understand better where my father served in the early days of the CCC.There are a number of references in this book that should allow me to learn more about my father's experiences. This book also has the most information I've found so far on how Native and African Americans served in the CCC.